NYC Councilman Ruben Diaz: Amazon's Headquarters Deal Was Scuttled Due To "Abusive Power" Of Gay Pols - Joe.My.God. 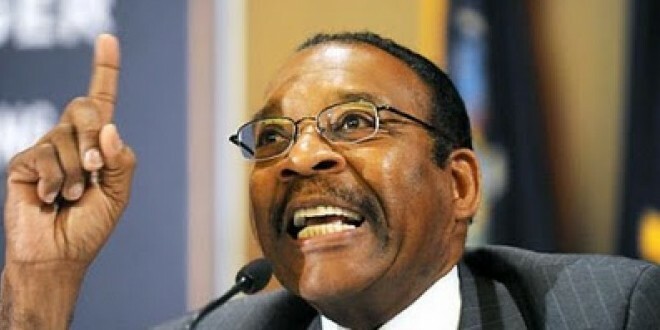 Bronx City Councilmember Ruben Diaz, Sr., is targeting a pair of his LGBTQ colleagues and finding new ways to blame them for what he says is gay political power, marking yet another twist in the homophobe’s seemingly unending public meltdown. Diaz, who held a public rally with his supporters on Thursday and maintained his refusal to step down or apologize, turned back to Twitter later that day and on Friday to call out Queens Councilmember Jimmy Van Bramer and City Council Speaker Corey Johnson for using their so-called power as gay men to influence the collapse of Amazon’s proposed plans to build a headquarters in Long Island City. Diaz, Sr.’s Council Committee on For-Hire Vehicles was dissolved earlier this week amid the fallout over his anti-gay comments and his decision to ignore demands for an apology or his resignation. Diaz’s own son, Bronx borough president Ruben Diaz Jr., has said that his father should apologize. In response, his mother, Leslie Diaz, posted a letter claiming that her son is also under the “proven power” of the gay community. Amazon’s HQ2 leaving is another case of the abuse of power from some City Council Members. This is all because of @JimmyVanBramer. He organized folks to push back on Amazon and even got @NYCSpeakerCoJo to fight back as well. Now 25k jobs are gone and won’t be filled by New Yorkers thanks to the NYC Council and its Speaker. This is another indication proving what I have been saying is correct. Jimmy, Jimmy, Jimmy. This time you cannot play the victim. You have to take the responsibility for Amazon and you are taking a lot of people down with you, even Speaker Corey Johnson.